Switch things up this barbecue season by serving up delicious, healthier grilled vegetable appetizers instead of the usual heavy calorie-laden fare! Your guests will still love it and you’ll be doing them a favour. I know I’m doing myself a favour by making this change! A few months ago, my doctor sounded the alarm: my cholesterol level was a little bit high. Since this disease runs in my family, she did not want to take any chances. She asked me to make some changes to my lifestyle to control and avoid any bad surprises in the future. I had to eat more fruits and vegetables and exercise more. So I signed up for boot camp classes (because I like challenging myself) and made changes to my diet. I cut back on meat and increased my veggie intake. Now that BBQ season is in full swing, we’ll be hosting our share of fun gatherings on our deck. I wanted to come up with an appetizer that fit my new lifestyle and took advantage of all those delicious fresh veggies in the market now. What did I come up with? Grilled vegetables! In the past, whenever someone mentioned summer appetizers, I always pictured dips and rolls, mayo-heavy macaroni or potato salads, etc. But now, I picture grilled vegetables. They make a perfect healthy appetizer, ready in no time. 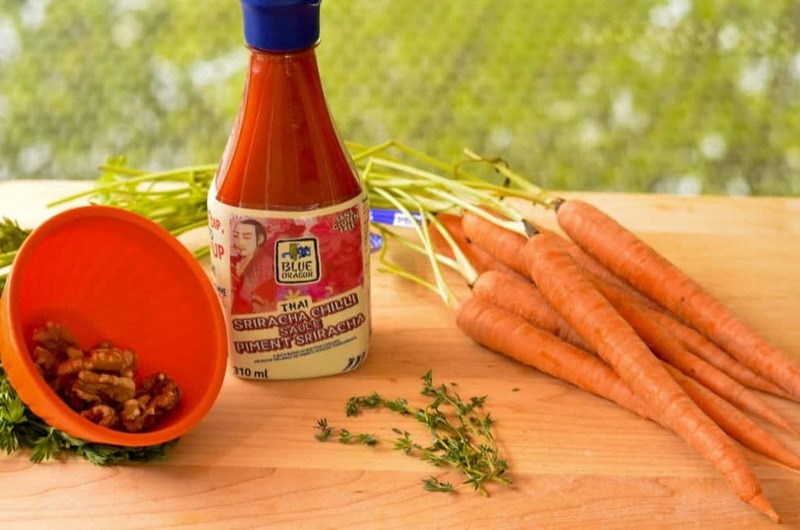 Add some delicious Blue Dragon Canada and Patak’s Canada sauces, and you will be in heaven! Trust me! 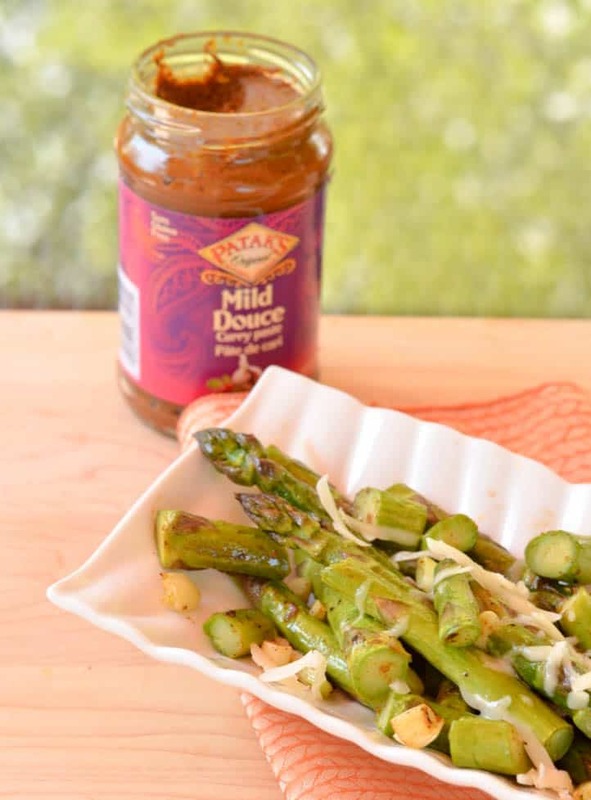 You, your family and your guests will devour these easy to make appetizers: grilled asparagus with curry paste and grilled carrots with sriracha sauce! Mouthwatering, right? ! They are the perfect appetizer for your BBQ meals! Bonus, you can grill them directly on the BBQ! What is your favourite appetizer during the summer season? Six carrots are peeled. I do not recommend baby carrots, nor large carrots. Try using medium sized carrots from your farmer’s market. They have a delicious flavour. Cut the carrots in halves, lengthwise. Coat the carrots with olive oil and Thai Sriracha Chilli Sauce. 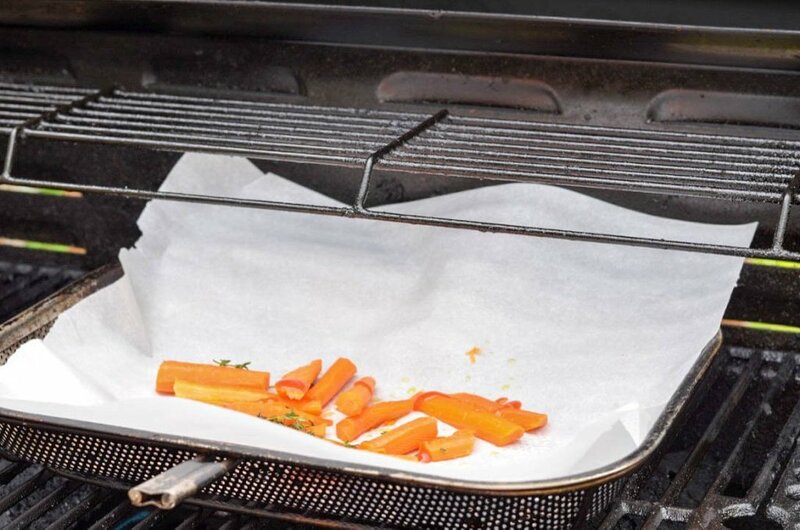 Transfer into a parchment paper onto a dish safe for BBQ. I used the grilling tool showcased above. It is so good. 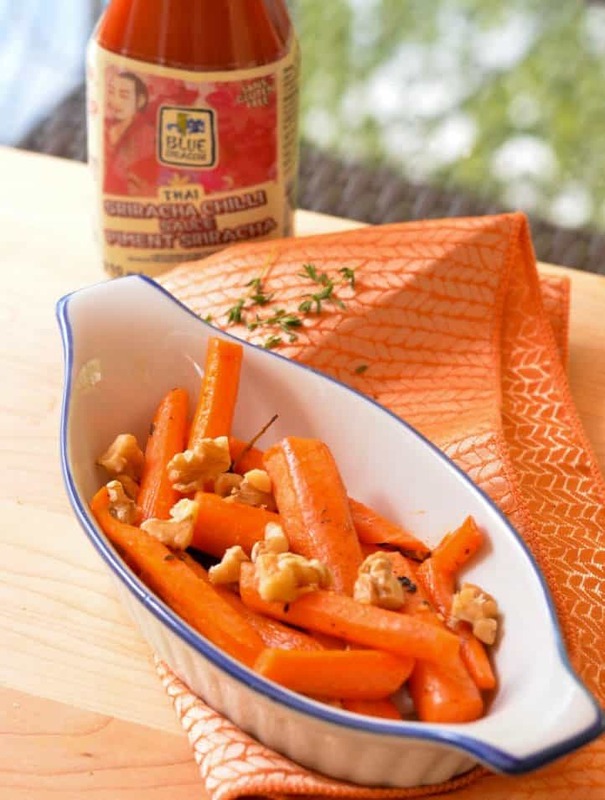 The Thai Sriracha Chilli Sauce added that much-needed kick to the carrots. It is not spicy. It is just full of flavor and so easy to make. Make sure not to grill over as you want the carrots to be crunchy but not too crunchy! Now let’s see how you can make the second appetizer. 1 tsp of Patak’s Canada Mild Curry Paste. Transfer into a serving dish and sprinkle with cheese. Enjoy! Isn’t it delicious and easy to make? 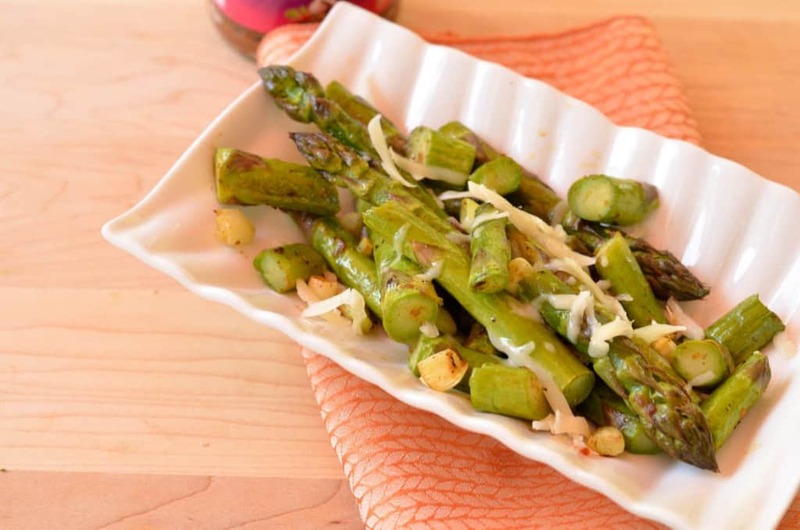 I am such a huge asparagus fan, and I cannot get enough of this yummy dish! The curry paste added a delicious kick to it! It makes a change from the regular grilled asparagus with lemon! While I grilled these veggies on the BBQ, you can use your oven if you don’t have the proper grilling dish or for those rainy days! It is as delicious! While you have the grill out, try this Grilled Tofu Tikka Masala as a main dish! 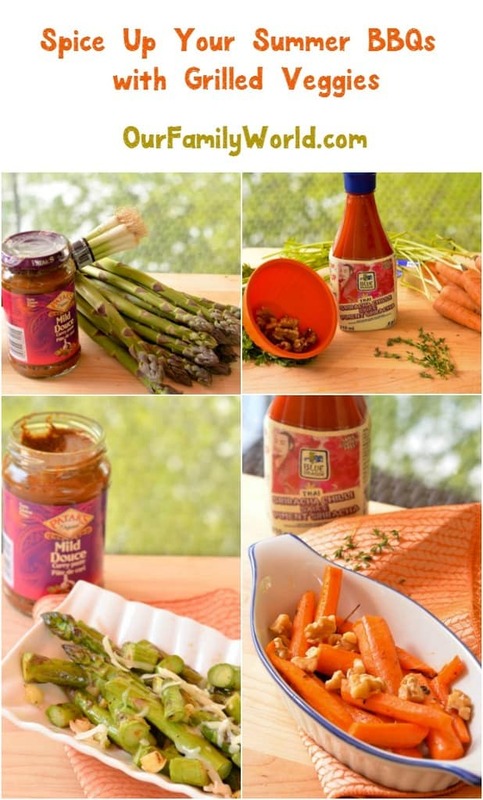 Now don’t forget to visit Pataks Canada and Blue Dragon Canada for more great ways to spice up your appetizers! Follow Pataks on Facebook, Blue Dragon Facebook, Pataks Twitter and Blue Dragon Twitter to keep up with all their exciting news!. Disclosure: I am part of The Cultured Kitchen Ambassador program in partnership with Patak’s Canada and Blue Dragon Canada and I receive special perks as part of my affiliation with this group. The opinions on this blog are my own. Mega Bloks Skylander Swap-Force Boss Tank Show Down: An Unstoppable Gift for Kids! These look so yummy!! I love grilled veggies and this would be great to try out! Thanks for sharing and linking up with us over at the Welcome Home Wednesdays Link Party! I love me some grilled veggies! This is a great recipe! Thanks for linking up with Delicious Dishes Recipe Party! Your veggies look so good. They have me ready for summer grilling. The older I get the more I like to find new ways to eat my veggies. This looks delicious and I am inspired to eat more grilled vegetables this summer! That looks wonderful. I love making healthy side dishes. These look super tasty! I don’t think I’m going to wait for our next bbq to try these out. Thanks for sharing at Merry Monday this week! You did make these veggies look good. I’m all about the carrots and the asparagus. My husband my like this very much. I cannot say he cut back on his meats in his diet as you did, but I know he loves spicy food and should increase his vegetable intake! I love grilling, I never thought that grilled vegetables can be so yummy. Thanks for the great idea! That carrot-chili combo is just genius. I’ve been thinking of some way to make some variants out of my Bugs tooth and since I’m all for spicy stuff, that recipe really delivers. I’d love to make some grilled veggies with a spicy kick. That sriracha chili sauce would be perfect. Great ideas! I love grilling veggies! Hooray for grilling season! I am a total veggie fanatic, so any new recipes are always welcome. We love to grill zucchini! 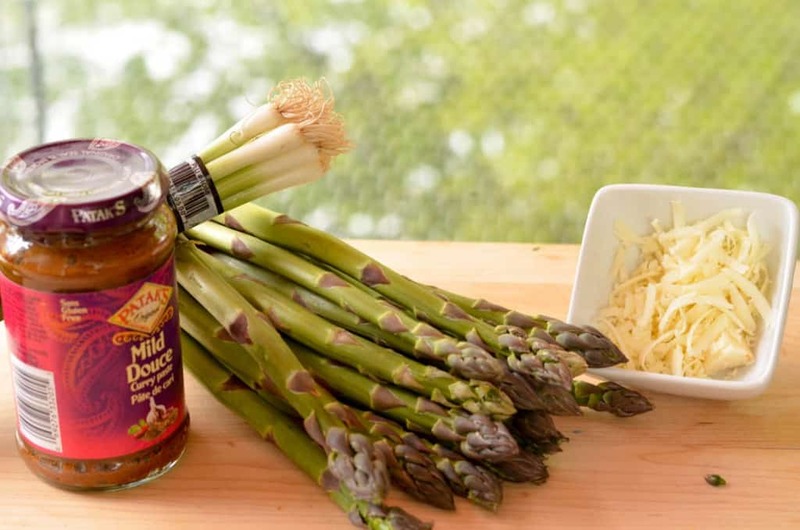 I’ve never tried grilling asparagus, but your pictures make it look amazing, so I may just have to add this to our summer barbecue repertoire! We like to grill every weekend. I will have to start grilling some veggies. I love grilled vegetables. I grill just about everything in the summer! Those sound so good! We always grill veggies and fruits when we have a backyard bash. A party isn’t a party without some awesome apps! Thanks for the great ideas.